Did you guess the mystery object? Did you solve the mystery? 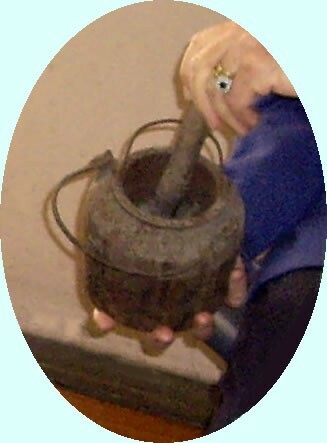 Maybe you thought the object was a glue pot and brush such as those used in earlier times in homes and offices. In post offices we have advanced from using glue pots to the convenience of stamps with adhesive backs which we needed to lick or wet with a sponge, to stamps which are self-adhesive! As was mentioned last week this carpenter’s glue pot is from the Harrison Collection. Isobel Harrison has informed us that it was donated to their collection by Mary Sykes, who, when her husband died, cared for the blind Eric Proctor at The Laurels guest house in Berowra from about 1960 to his death in 1984. Eric Proctor was much loved by the people of Berowra who visited him at The Laurels and were enriched by his wisdom. Congratulations to John Saunders who correctly identified this mystery object as a glue pot!